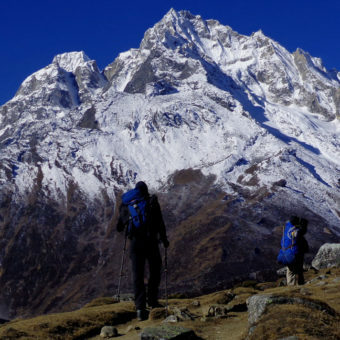 Thousands of tourists flock the Himalayas every year for a sense of adventure which is missing in automated modern lives and to feel raw nature which has become rarer with time. But there are thousands more who live in the Himalayas and a one-time adventure or challenge for a tourist in the mountains is a daily struggle for the local community. That is why we at Mountain Kick believe that it is our responsibility to look after the mountain communities who share their home with us. From the Sherpas in the Everest region to the Gurungs in the Annapurna region, the local people invite us, look after us, teach us proper mountain ways, and give us a sense of their culture. If it was not for them, mountain tourism, in its present sense, would not have been possible. As part of our Corporate Social Responsibility, we always make sure we employ local people as guides, porters and support staff as much as possible. But we do not treat them as hired help; they are as much part of Mountain Kick as the officials who run the business from the offices in Kathmandu. We choose community-operated guesthouses for our travellers to stay and dine throughout the journey. Our representatives always meet with local leaders and village elders to evaluate the impact of our presence on the society and nature. A big part of our CSR initiative is also geared towards conservation of the environment. 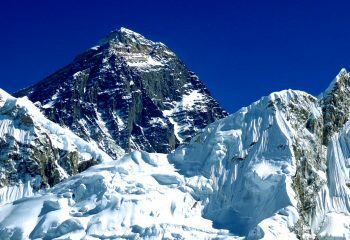 The Himalayas are a global attraction because they are pristine and we want to keep it that way for generations to come. Ethical business practice, respect for local tradition, knowing our legal limits and reverence to mother nature have always been a guiding principle for Mountain Kick and we treat them not just as CSR activities but as a moral issue to live for. Mountain Kick regularly organizes cleanup programs to pick up the trash left by tourists as part of our Sustainable Himalayas campaign. Our guides, porters, other staff, and volunteers go to all parts of the trekking routes and collect wastes and later dump them at appropriate sites. This will limit the adverse impact of regular human expeditions in otherwise untouched natural environment. We also donate to local organizations that are involved in conservation of Himalayan plants and animals. 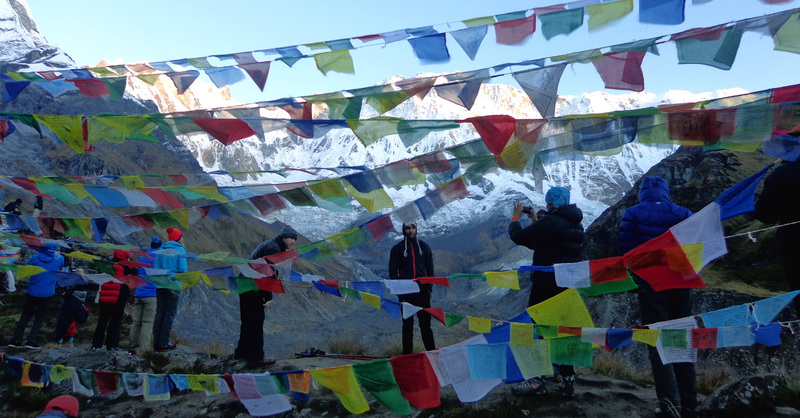 Our first trip under the Mountain Kick banner was an 11 days’ trek to the Everest Base Camp with nine tourists. We thought it would be a great idea if we start doing something small but helpful for the local community from our first trip itself. So decided to carry some books, mostly trekking manuals and English-Nepali dictionaries, and leave them at some school along the way where children might find them useful. We gave the books to a teacher of the primary school in Pangboche who later set up a library at a small corner of the school. Encouraged by this, we brought some more books during our other visits and soon filled the library with a good selection of books for kids and thus the first Mountain Kick Library was established. 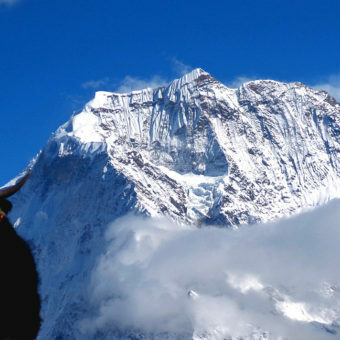 Since, we have established such libraries in seven Himalayan villages in the Everest and the Annapurna region. The number of such libraries is growing along with books in those libraries. As one of the poorest countries in the world, Nepal needs a lot of help. Tourism revenue has been a boon to local communities in popular tourist destinations but there are ways of being more directly involved to uplift local communities. Enter voluntourism. 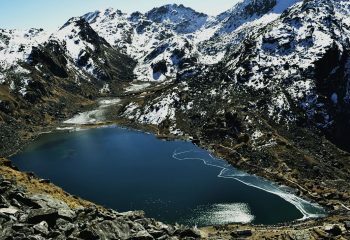 As the fancy blend word suggests, you can travel to the Himalayas and also do some volunteering work on the side to make your journey more meaningful. We have tour packages designed in such a way that you will get to experience the adventure of travel while also helping locals. For example, our Teach as you trek trip involves you spending time at schools along your trekking circuit teaching the kids. In remote corners of the Himalayas, the only access for local kids to the outer world is the tourists they encounter. So sharing your story with them and listening to theirs in return is a great way of helping them learn and communicate.